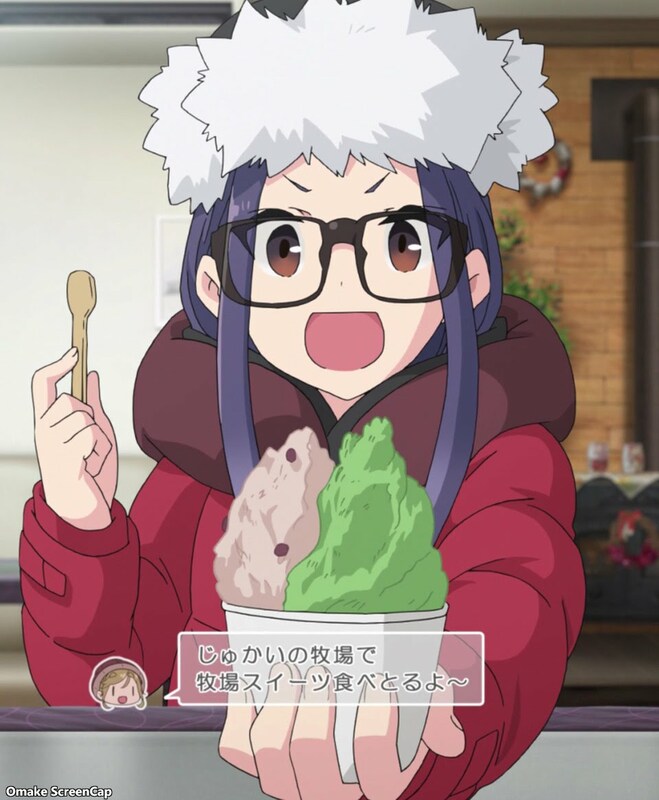 Chiaki did her best impression of Nadeshiko pining for Mount Fuji. Pretty good! Chiaki and Aoi loved the flat grassland around their camp, until they realized it was rolling grassland, not actually flat. Waiting for everyone to arrive if you got there early meant it was time for snacks. Eating ice cream on Christmas Eve? Only if you're in a warm restaurant. 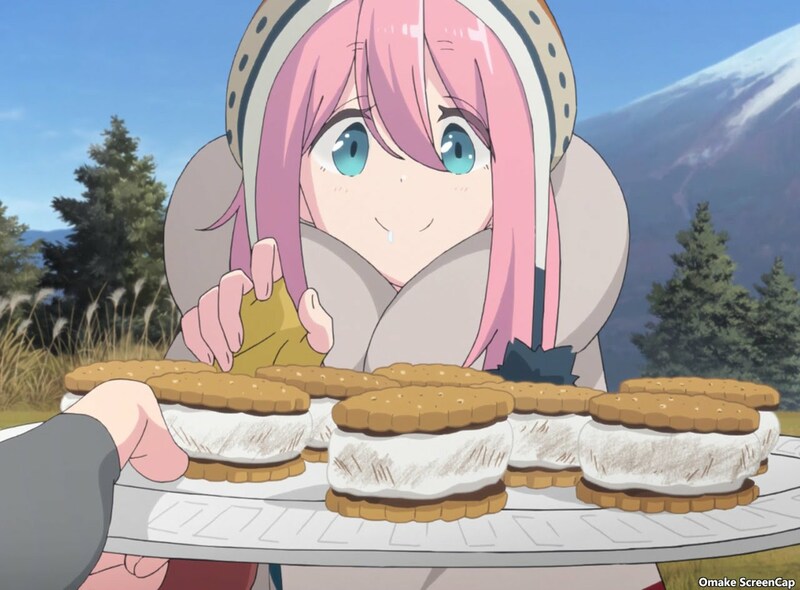 Eating s'mores looking at Mount Fuji? Camping done right! There was plenty of time for hijinks before dinner. Like turning Toba-Sensei, who was drunk on beer and bacon, into a blankie monster, or getting chased and chasing a chihuahua in a rabbit ear hoodie. Chikuwa always steals the show from Nadeshiko. And then it was time for Christmas dinner. That involved rum for Toba-Sensei, achieving Meat Nirvana for Rin, and assembling the Santa Cu-Rangers!